In recent years, however, Dartmouth faculty and administrators alike have worked together to design experiential learning courses that challenge students to cultivate their skills outside of the classroom. In up to 12 courses per term, students collaborate with community organizations on projects as part of the Center for Social Impact’s newly-launched Social Impact Practicum program. Associate director of academic and service engagement at the Center for Social Impact Ashley Doolittle said that the center launched the SIP program in response to an experiential learning initiative from College President Phil Hanlon. She added that while the Center for Social Impact already offers students direct service opportunities, launching the SIP program allowed the center to bring experiential learning to the classroom. Since last winter, between six and 12 SIP courses have been available each term, and approximately 630 students have already enrolled in them so far, according to Doolittle. As part of their SIP courses, students have, among other things, helped create museum installations, design websites, produce ethnographic films and examine truancy with the Hartford Police Department, Doolittle noted. “The diversity of products and deliverables that can come out of [the SIP program] are just as vast the as the number of social problems that could be addressed in the Upper Valley,” she said. Doolittle attributed SIP courses’ increasing popularity to their unique nature. Doolittle said that she hopes students develop real-world skills and a genuine enthusiasm for making a difference in their communities as a result of taking SIP courses. In the future, the Center for Social Impact hopes to expand the SIP program to include up to 15 or 20 courses per term and partner with even more organizations in the Upper Valley, according to Doolittle. 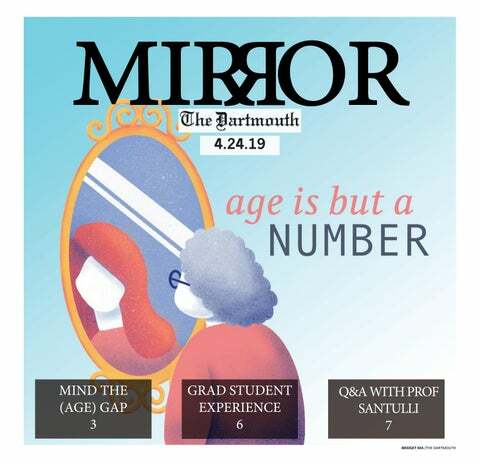 She added that while experiential learning opportunities have become increasingly common at colleges and universities across the country, Dartmouth stands out for its commitment to making these opportunities available to students at the undergraduate level. “Undergraduates are applying exactly what they are learning in [their courses] to projects for community partners that require exactly those skills … I do think SIPs are a special model, to be honest,” she said. Other classes also focus on learning outside of the classroom. In English 53.04, “Telling Stories for Social Change,” students work with female clients at Valley Vista, a substance abuse rehabilitation facility in Bradford, Vermont. English and women’s, gender and sexuality studies professor Ivy Schweitzer said that the class incorporates the Telling My Story programming developed by women’s, gender and sexuality studies lecturer Pati Hernández into its curriculum. Telling My Story, a nonprofit, works to empower marginalized individuals through performance and self-expression. Schweitzer, who teaches the course alongside Hernández, said that the inclusion of the Telling My Story program into the course’s curriculum encourages its students to develop novel perspectives. “[We use the Telling My Story program] to break down the kind of invisible walls that separate us, our prejudices, our biases and our sense of judgment,” Schweitzer said. She also hopes that students will have the opportunity to visualize the ways in which their knowledge can have a real-world impact. “What we’re really trying to do here is really ask people to put their money where their mouths are and see what happens when they apply the theories that they’ve read,” she said. Schweitzer said that her class challenges traditional teaching models in which students strictly learn and professors strictly teach. Instead, each individual in the program acts as both a teacher and a student, she explained. Schweitzer added that above all else, she hopes that her students will gain an appreciation for humility, which she said is often sidelined in academic environments. “When was the last time you heard anybody talk about humility [in an academic setting?] They say, ‘Be bold, take risks, go out there and compete, knock down the other guy’ … we’re arguing that that’s pretty poor training for being a citizen of a democracy in which we all have to work together and pull together,” she said. Schweitzer said “Telling Stories for Social Change” also empowers the women of Valley Vista by making them feel as though they are seen and heard as individuals. “[When it comes to] people involved in substance abuse or those who’ve been in prison, we don’t really know what their stories are. Instead, we kind of label them based on lots of stereotypes and preconceived notions,” she said. Schweitzer said that her favorite part about teaching the course is that each iteration is different from the last, and that she cherishes the opportunity to challenge her students to feel vulnerable. Schweitzer also explained that she has learned important lessons as a professor because of her experiences teaching the course. “I’ve learned a lot about myself and the system that trained me as a teacher … I’ve also had to learn how to motivate students to learn and assess students on their attitude and presence,” Schweitzer said. Interim provost and computer science professor David Kotz ’86 said that while he cannot be certain, he believes that experiential learning courses are becoming more popular at the College because students increasingly wish to learn from both academic and practical perspectives. “Experiential learning forces [students] to bring together different skills, knowledge bases and ways of thinking,” he explained. Kotz added that faculty members might also find experiential learning courses particularly interesting. “For faculty members, connecting what you know from an academic perspective to the real world could offer a lot of excitement,” he said.